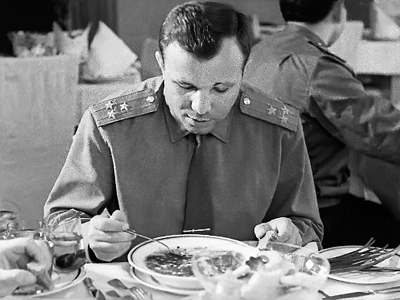 Soviet cosmonaut Viktor Gorbatko was involved in the space program from its early days and took part in three missions. In an interview with RT he recalled how he entered the cosmonaut regiment, met Gagarin and how going to orbit changed his life. RT: Good day, Mr. Gorbatko, thank you for sitting down with us. RT: You were part of the group of officers who were preparing for the first manned space flight. How many of you were in the group? Can you tell us about how the first astronaut was picked? VG: The decision to enlist fighter pilots into the first group of trainee cosmonauts was made by Sergey Korolev, the Soviet Union’s head aerospace engineer who developed and launched the Sputnik and the first manned space flight. The Defense Ministry and the top Soviet authorities approved that decision, so the Air Force and the Main Air Force Hospital were assigned to pick the candidates for the first manned space flight. Medical staff from the hospital started traveling around regiments, mainly in the central Soviet Union. They picked out the profiles of 3,500 fighters. Four hundred and fifty of them were sent to the hospital. Out of that 450, the air force hospital selected 20 pilots who became the first regiment of Soviet cosmonauts. RT: By which criteria were the pilots chosen? VG: When people came to the regiment, they looked at the pilots’ professional reports. They had to be good pilots. They had to be in the Party, of course, and be recommended by the deputy commander on political affairs. Then, I won’t hide it, when I walked into the political officer’s office, the first from my regiment, there was a man from the military counter-intelligence unit standing by his side. He gave me a paper to sign that said everything I was about to learn was national security information that could not be spread. I signed it. They sent me to see a doctor. I saw that the doctor had three medical profiles. Mine, Evgeny Komarov’s – he would pilot a later space flight – and Boris Sirota. We had a long talk and they asked me how I would feel if they recommended me for a medical commission to check if I could fly higher than100 kilometers. I understood straight away what it was all about. RT: How did you feel when you learned you were possibly going to space? VG: No, I agreed straight away. It was voluntary by the way. We were stationed in camps. The central airfield we were stationed at was closed for repairs so we were sent to camps. After we had our talk they told me I could go home – it was 300 kilometers away – and talk to my wife about it. But I only needed to think for a minute at most before I agreed. RT: How long did the final group of twenty pilots train together? VG: The group was put together in March, 1960. We met with Sergey Korolev in September. There were 18 of us by that time, two of us were eliminated because their health was not good enough. Then they split us into several groups. As there was only one centrifuge to train on and it was in Zhukovsky, the first six pilots were sent there to train. We were to be sent there after they were done. RT: What did your training consist of? VG: We attended lectures on medicine, higher mathematics, astronomy and so on. 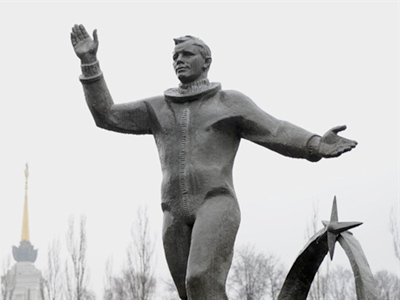 RT: How did you first meet Gagarin? VG: I was the first of the cosmonauts to meet him. I was sent to a military hospital. The ward was empty as I arrived first. Two days later, he walked in. He was stocky and smiled a lot. He was wearing hospital clothes. 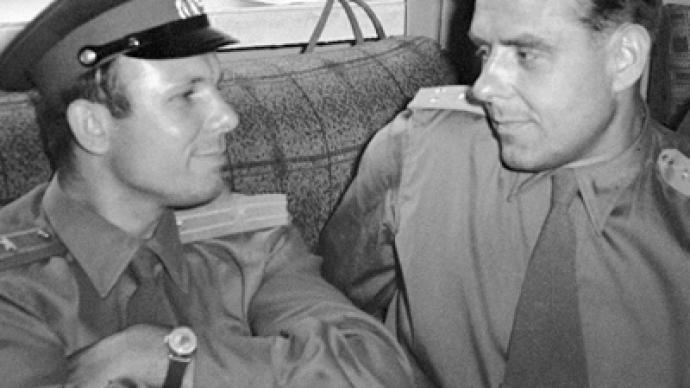 He introduced himself: Lt. senior Gagarin, Stary Sever. I introduced myself: lt. Senior Gorbatko, Moldova, Markulesht. That was how we met. RT: Did you become friends straight away? VG: Our relations were very good even though we were all very worried. RT: You must have had your doubts. Did you share them? VG: Yes, there was that. There were 45 of us at the hospital after all. Every single day one of us was eliminated from the competition. Some were even decommissioned. There were four of us in the ward: myself, Gagarin, Leonov and another pilot whom the doctors told he could only ever be allowed to pilot a helicopter. Some of the pilots decided to leave before they were decommissioned. We had our doubts too of course. But I remember one time we all got together and said – Yura said that too – that we should go through the commission to the end. It doesn’t depend on us but let’s give the medics all we can and see what happens. 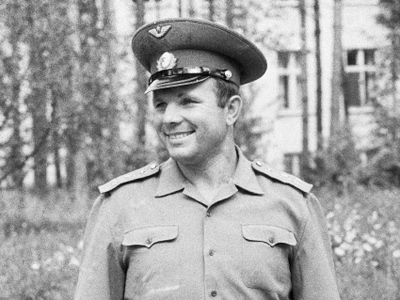 RT: After all this time, what is your opinion of Yury Gagarin? VG: I liked him. My opinion of him was and remains very good. He was the sort of man that would not let you down in battle or in normal life. He had a talent for organization, a good head. He had more experience than us, in life. He had been through a school, a college, the aviation club and the academy before he had started serving in the northern battalion. One of his positive qualities was that his superiors, his friends and his subordinates liked him. That was important. He had a strong sense of duty too. He said, after his flight, that his goal was for every pilot who came with him to fly to space. He did his best to make that happened. Every pilot from the group of 12 who were not eliminated due to poor health or poor discipline, they all got to make their space flight. RT: How did he deal with all the popularity and the people’s love after the flight? VG: I think he dealt with it just fine. He never became stuck up or star-struck like even some sportsmen do today. I never saw that in him. In that sense, he stayed at a good level and tried to perform his real duty as a citizen and a cosmonaut. He loved children. He was a man who embraced his work, his publicity and his family. He wanted to make a second flight too. We even trained together when I was preparing for my first flight and he was planning to make his second. We were to be in the same crew. RT: What did he tell you about his first flight? VG: Well, he told me how zero gravity felt and said that space could, and should, be explored. That was all he said, pretty much. VG: You know even today when I meet with people from Star City or other cosmonauts, when I visit launch pads I think I will come back to the launch pad this year although regrettably I won’t be able to fly myself, so I’ll be sending others. I always dream of space when I come back home. I was in the lunar program, you know and I still sometimes fly to the moon in my dreams. I’m very sorry that it will never happen. I dedicated many years of my life to this profession, starting from 1960 and quitting in 1982. I left my crew at the same time I left mission control. RT: Did you miss the Earth when you were in space? VG: My flights were always so short… During my second flight, I even asked mission control to prolong my mission. It was supposed to last 18 days but our landing was postponed due to bad weather in Kazakhstan. I think you had better ask this question to those who have been on 6-moth long or longer missions. I was not tired of it. I wanted to keep working. RT: How does the Earth look from space? VG: It was beautiful. I was especially impressed with the sunrise and sunset. During my second flight we actually followed the sun on one of our orbit passes. It was like the sun never set. Half of it was in the Earth’s shadow and we could see the other half. It was beyond words. The Earth itself is beautiful too. The seas and oceans have the most beautiful color. They are dark blue in the middle and greenish at the shores. When you look down you see mountains, deserts, cities, huge rivers, everything that there is on Earth. VG: I believe in destiny. Whatever your destiny is, it will happen. You have to fight for it of course; it doesn’t just come to you. RT: How did your space flights change your life on Earth? VG: The flights have had an effect on my life, of course. I don’t know how far along I would get in my career if I had refused the offer to become a cosmonaut. I was a group commander and certified for deputy commander at the time. I was going to attend the academy to switch to more advanced aircraft. I was piloting a Mig-17 at the time, Mig-19s were already in use and the introduction of the Mig-21 had begun. It was my dream to pilot those planes. I don’t know how that would have turned out. Overall, I am grateful. I can’t say I’ve made a huge career but that was never my goal. The only unfulfilled dream I had was to go on one more space mission. I can’t complain about my life. The only thing is that my wife died very early. We got married when I was still a pilot. We started out together and stayed together until 1987. RT: It must be hard to be a cosmonaut’s wife. VG: “Never again” was what she said after my second flight. She got too worried. Although only three years later they offered me to go on another mission. When I came home and told her she never said “no”. RT: Thank you very much for the interview. VG: Thank you. I wish you good health and happiness. Today, in the year of the 60th anniversary of Yury Gagarin’s flight I would like to tell the viewers that we will continue exploring space just like when we started in 1961. Our people can go to Mars if they want to.